...AMOS-4 communications satellite is scheduled to launch to the 65 degrees East orbital position in the second quarter of 2013. 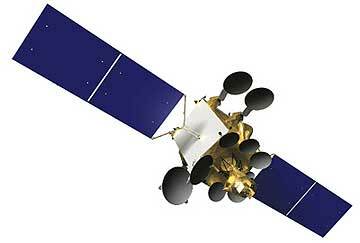 AMOS-4's multiple Ku- and Ka-bands will service broadcast and broadband needs within the Russian, Indian subcontinent, and Middle Eastern markets. The newest addition to the AMOS constellation will have Ku-band and high-power Ka-band transponders with steerable beams. These Ku- and Ka- transponders will create a powerful platform enabling a wide range of cross-region, cross-band and cross-beam connectivity options to reach the vast urban and rural areas of these regions. AMOS-4 will provide extensive broadcast and broadband reach for satellite services, including DTH, video distribution, VSAT communications and broadband Internet. AMOS-4 is designed to have a 15-year lifespan and is being constructed by Israel Aerospace Industries (IAI). When the satellite begins commercial operations, Spacecom’s constellation will cover the entire eastern side of the globe. ...GlobeCast to provide complementary satellite services in Africa for its Paralympic Games broadcasts. During the games, the AMOS-5 satellite is achieving success and winning medals by bringing high quality live feeds from London to Africa. Spacecom is working with SatLink Communications to implement its tailored complementary satellite solution on the AMOS-5 for GlobeCast's Paralympic transmissions to Africa. AMOS-5 is serving Africa from the 17 degrees East orbital position with a high power pan-Africa C- and three Ku-band beams that together cover all of Africa with connectivity to Europe and the Middle East. It began commercial operations in January 2012 and is quickly becoming a prime carrier of African satellite communications traffic in both broadcast and data services.